American Crow, Corvus brachyrhynchos. Note the curved, not wedge-shaped tail. Excellent photo courtesy of Carol Berney. 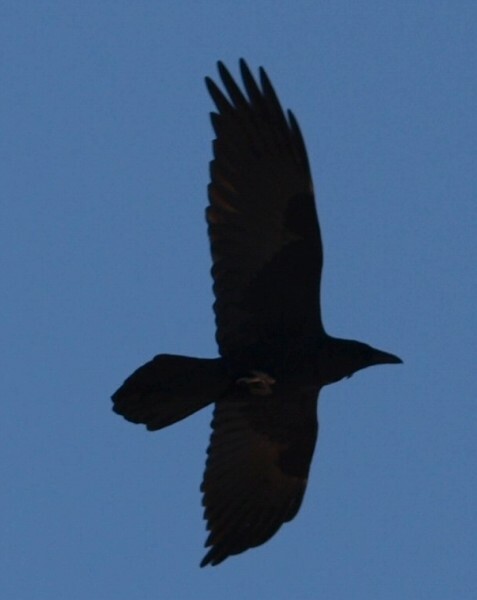 Raven in flight. 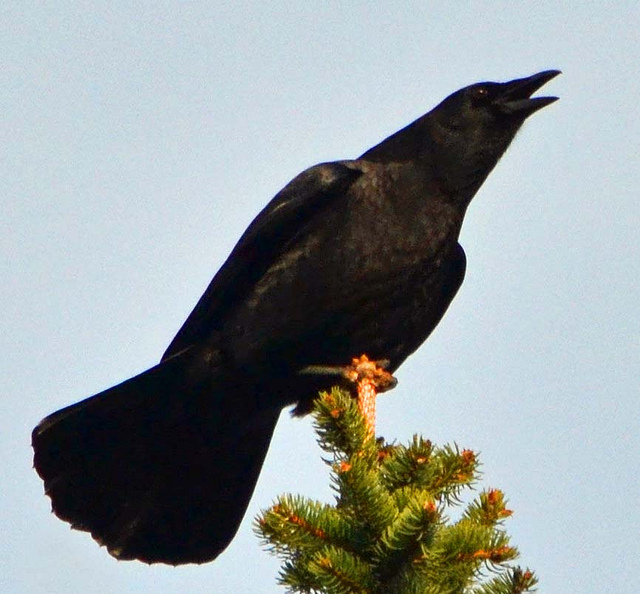 Note the shape of the tail in contrast to that of the crow. 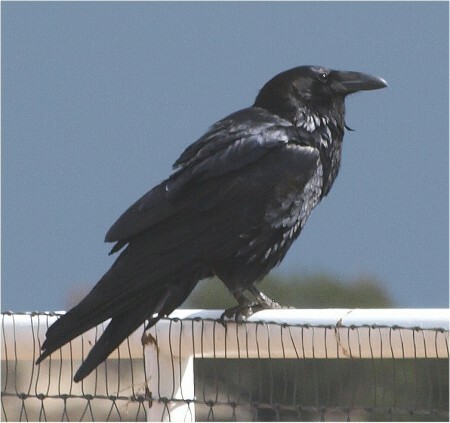 This entry was posted in Critters, Flowers&Fauna and tagged Birds, Crow, New Mexico, outdoors, raven, wildlife. Bookmark the permalink. Not only do they do these things before mating…but I think that because it is so necessary for survival to have a mate, they choose mates with good skill sets. I witnessed a courtship once that had reached the level of actually making the commitment, and the male composed a gorgeous series of chirps, whistles, clucks and other lovely tones for the female. Then he waited for her to make an assent, which was a single caugh in a quiet tone. This went on for about 30 minutes. Suddenly the male leaped off the spruce tree and snapped a twig off to carry in his beak in a half circle around her. He presented her with the twig and off they flew to repeat it in another area. I have also witnessed a mourning ritual for a dead mate that would chill you to the bone. This bird was devastated. His mourning went on for 3 days. Thanks Kelli for your observations. Yes, I think there are deeper connections than we often credit between these creatures. Unless you find yourself in the position to see, you’d never know.